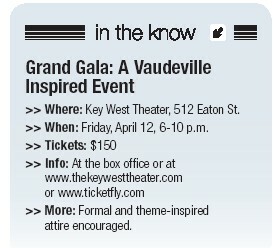 The Key West Theater hosts a vaudeville-themed fundraising extravaganza on Friday, April 12. In the early 1900s, vaudeville theater was a mix of all things entertainment: song, dance, comedy, magic, acrobatics and much more. The fine folks over at the Key West Theater want to reintroduce the public to all that is under the theater’s roof while showcasing many forms of entertainment in its various performance spaces. The colorful history of the Key West Theater and the vision its proprietors have for the future will be on display for all to enjoy. The night will begin with a leisurely stroll around one of Key West’s most effervescent and historical buildings to explore otherwise off-limits areas. 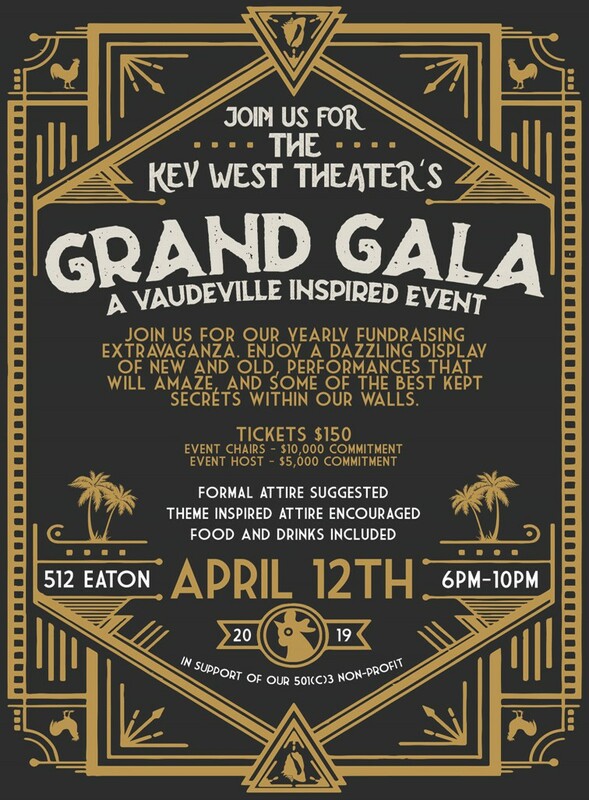 With a signature cocktail in hand, gala goers will be able to peruse the Balcony Bar’s floor-to-ceiling display of signed memorabilia and observe the Main Stage with a bird’s eye view. Stop by the Dance Studio for a noteworthy performance by Dance Key West, or meander into the glamorous green rooms where critically acclaimed artists have lounged and prepared for performances. Step into the exclusive and intimate Back Stage Listening Room for a glimpse at a live recording, where right down the hall you can find instruments and local artist imagery galore at The Grateful Guitar.